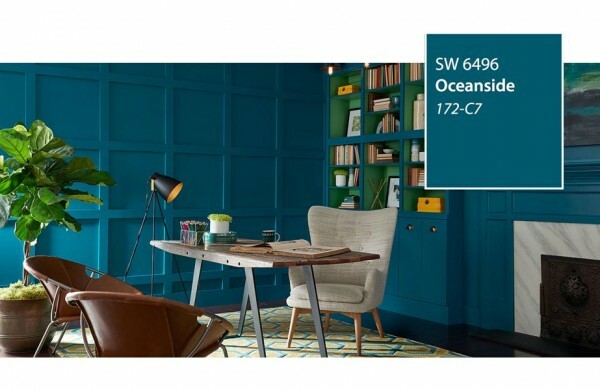 You know it’s autumn when Sherwin-Williams announces its annual Color of the Year, and their choice for 2018 is Oceanside SW 6496 (172-C7), a deep, mysterious blue that is simultaneously calming and energizing. In fact, every surface of my home office is painted in a hue just a half a shade lighter with a slightly less green undertone, but the effect is just as invigorating and inspiring, which is most helpful when one’s eyelids want to head south for an afternoon siesta but deadlines loom. Because it elevates my mood, this marine-inspired tone frequently finds its way into my wardrobe and onto my finger- and toenails. Despite its vibrant potency, Oceanside is actually an excellent “neutral” that plays well with a multitude of other colors. But don’t take my word for it. 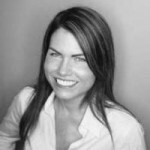 GO HERE to find out exactly what’s behind the Sherwin-Williams 2018 Color of the Year directly from the venerable coatings company itself.